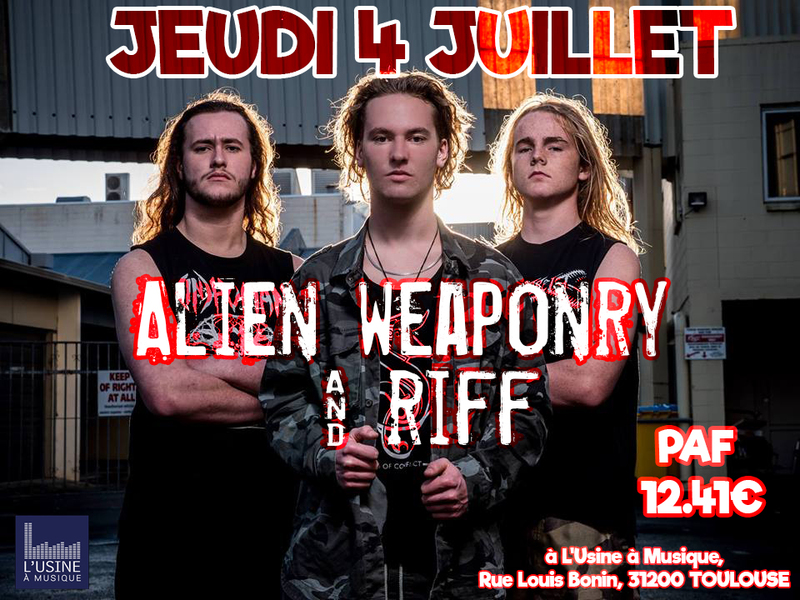 Thrash metal band Alien Weaponry “deserve to be the next big thing” according to Swedish music blogger Viktor Edstrom. And he’s not the only one who thinks so. Since they released their third single ‘Rū Ana te Whenua’ in mid 2017, fans, bloggers, the music industry and the media worldwide have raved about Alien Weaponry’s unique blend of thrash metal and their native language, Te Reo Māori. In September 2017, they signed with German management company das Maschine, and in February this year, they announced a three-album deal with Austrian-based Napalm Records, which will see their music promoted and sold internationally. They have featured in publications as diverse as UK based Metal Hammer and i-D magazines to National Public Radio (NPR) and The Atlantic in the USA. The video for Rū Ana Te Whenua has had a million views on Facebook and over 100,000 on YouTube; it spent 2 weeks at no. 1 on Spotify’s NZ Viral chart, and hit no. 2 on the iTunes global metal chart (just behind Iron Maiden’s ‘Run to the Hills’). In their home country, New Zealand, the three teenagers from the tiny town of Waipu in Northland recently won the prestigious APRA Maioha award for their song ‘Raupatu’ – a no punches pulled commentary on the 1863 act of parliament that allowed the colonial government to confiscate vast areas of land from the indigenous Māori people. A couple of months later, they took their places among NZ’s musical elite as nominees at the Vodafone New Zealand Music Awards. They will release their debut album (which already has hundreds of pre-sales via their fully funded Indiegogo campaign) in mid 2018; and a few weeks later they will hit the stages at the world’s biggest metal festivals, including Wacken Open Air, Metaldays, Summer Breeze and Weltturbojugentag. With their blonde flailing locks and Viking appearance, the trio laugh off confused and occasionally angry reactions to their use of New Zealand’s native language, Te Reo Māori, in about half their songs. While singing waiata and performing haka were a daily routine at school, also ingrained in their early learning were stories of New Zealand history told to them by their father – giving rise to songs like ‘Raupatu’, ‘Urutaa’ (about an early Māori -European contact incident which resulted in an outbreak of sickness; and the subsequent revenge – the burning of the ship The Boyd and the massacre of its crew); and ‘Rū Ana te Whenua’ (which tells the story of the mighty battle at Pukehinahina/Gate Pa in 1864 where their ancestor, Te Ahoaho, lost his life). The band’s English material is equally hard-hitting, with songs like ‘Rage,’ ‘Holding My Breath,’ ‘Hypocrite,’ and ‘PC Bro’ addressing everything from a schoolyard punch-up to teenage mental health issues, and the hypocrisy of teachers, the media and reality TV shows alike. Bass player Ethan Trembath (15) met Lewis while they were honing their unicycling skills at the local circus school in Waipu, Northland, where the de Jong brothers moved to in 2012. He scored the job in Alien Weaponry because he could play the ukulele and (at age 10) he was the first one of their friends who could reach the end of the bass guitar. Now, he is the world’s youngest and New Zealand’s only Spector bass endorsed artist. R.I.F.F. est un groupe de Metal issu de la région toulonnaise créé en 2013 par Cédric (chant), Tipé (guitare), Célian (guitare), Tom (batterie), James (basse). La marque de fabrique de R.I.F.F. se définit par une voix incomparable alliée à des rythmiques lourdes et efficaces.